Today’s recipe is dedicated to a friend of mine celebrating their birthday today.. She is also an avid reader of Daily Gluttony so I thought it fitting that I should make her a special birthday post – Happy Birthday Bon Bon! 1 1/2 cups of peanut butter – I recommend Pic’s Famous Peanut Butter or Woolworths Macro Crunchy. They are both made with just peanuts so it cuts out all the nasty sugar and preservatives of other brands. 1/2 tsp of salt – this is optional, if you don’t like salty peanut/chocolate snacks then don’t put it in! 260g of dark choclate – you can use milk if you prefer, but I find it a bit too sweet. Place the peanut butter, vanilla essence, salt, icing sugar, butter and brown sugar in a bowl and mix until combined. Roll them into balls 1-2cm big, no larger, and place on a lined tray. Place in the fridge for an hour to cool or more, overnight is preferable. Melt the chocolate in the microwave or over a bain-marie, keeping a careful watch that it doesn’t burn with frequent stirring. 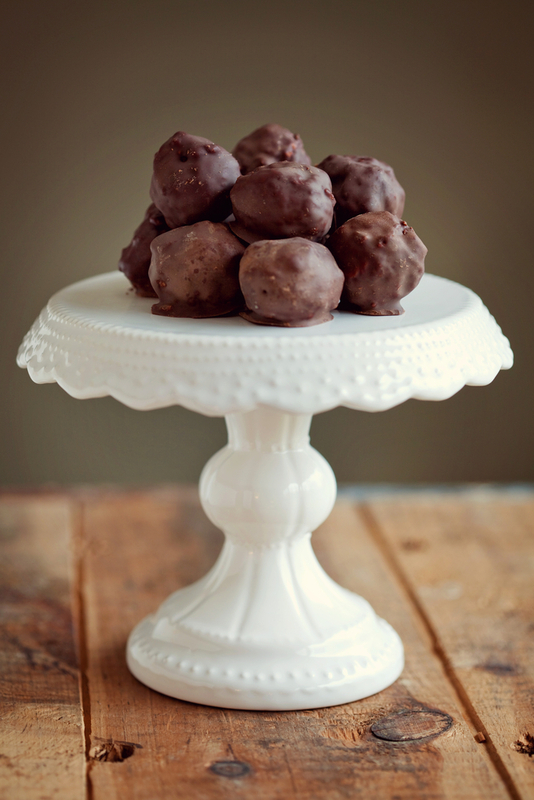 Remove the balls from the fridge, place a toothpick in them and dip into the chocolate one-by-one. When removing from the melted chocolate be sure to leave them over the bowl so the excess chocolate can drip back in. Place onto a lined tray and place in the fridge to set until you are ready to eat them! NOTE: These are in no way healthy and are bite sized for a reason. If you like your heart pumping away as it currently is, then don’t hide in the corner and eat every last one.